As I prepare to defend my Thesis tomorrow morning, I have been looking over some of the papers I’ve written over the last 3 years. I wanted to get a sense of what I’ve been reading and writing about, so I decided to take every paper I wrote for my Master’s degree, every note, every memo, every research paper, every discussion paper, every literary review, and put them into 1 document. It turned into a roughly 480 page (around 121,000 word) document. So roughly 100 pages per year of graduate school. 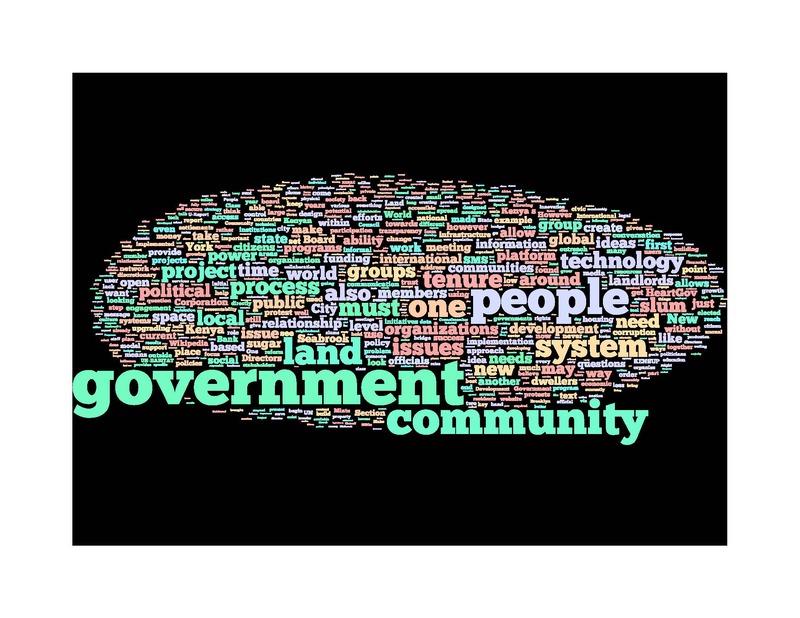 Then I wanted to get a good visual of what I’ve been working on, so I put it into a word cloud generator. 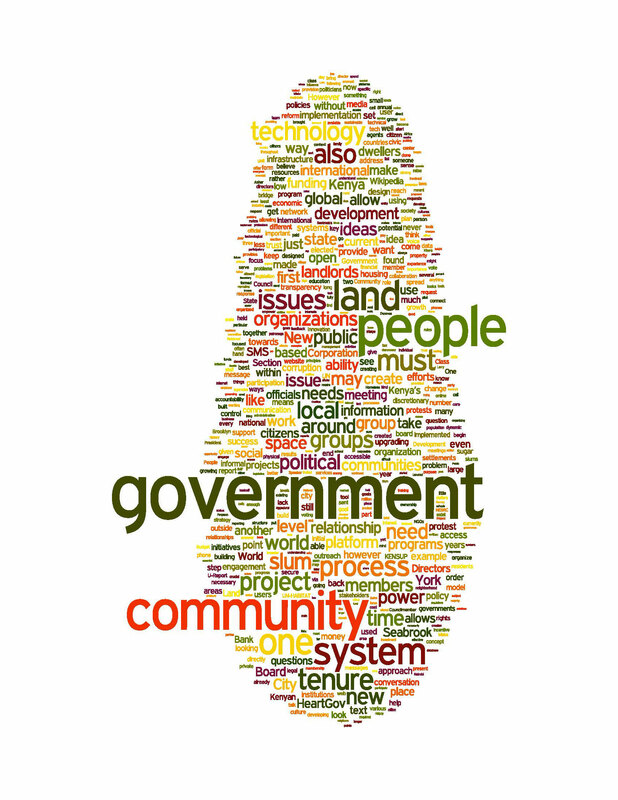 It is incredibly reassuring to see that the most commonly used words that I’ve typed over the last three years were “government”, “community” and “people.” The core of my Thesis is exploring ways to better connect those three groups, be it over issues like land tenure – which I wrote about extensively – and on both the local and global level, which both seemed to have been used around the same amount. 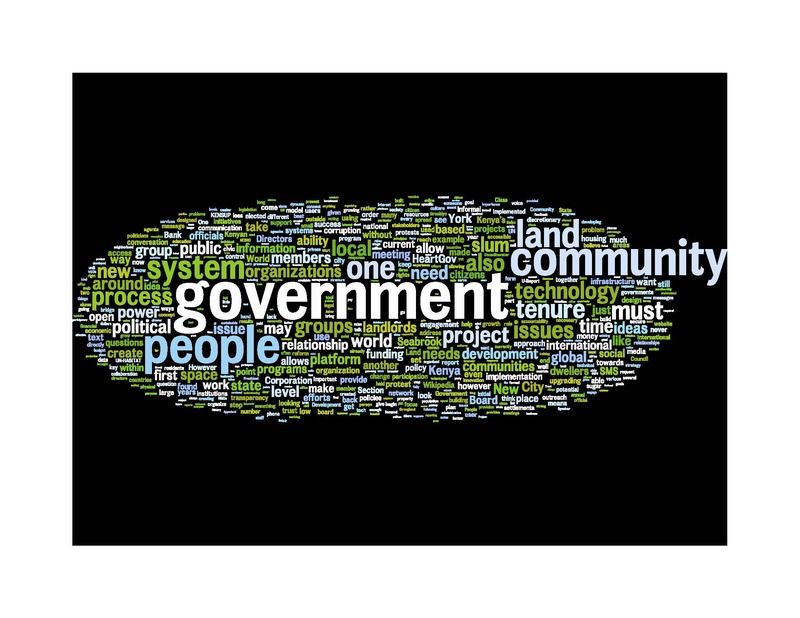 I also explored a lot about systems and process, which when combined with the government and community, allows an easier grasp over what I was really looking at this whole time. – I wrote about sugar more than I would’ve assumed. I think in discussing Mintz’s “Sweetness and Power”, but still. – I wrote about my actual Thesis, HeartGov, less than I would’ve guessed. – I use a lot of P words (politics, power, process, people, projects, public), but not much about potholes. There it is. There I am. And here we go.